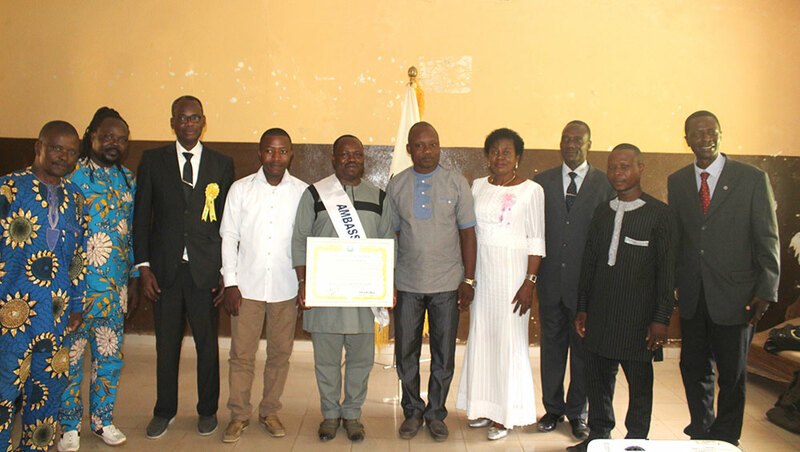 On Friday 16th of March, in front of a large distinguished audience of Military personnel, retired soldiers and representatives of various NGOs, the recognition ceremony was held in the Raul Porras Barenerchea Chamber of the Congress of the Republic. This event organized by Congressman Luis Alberto Yika Garcia, at the location where prominent figures were recognized for their great work. 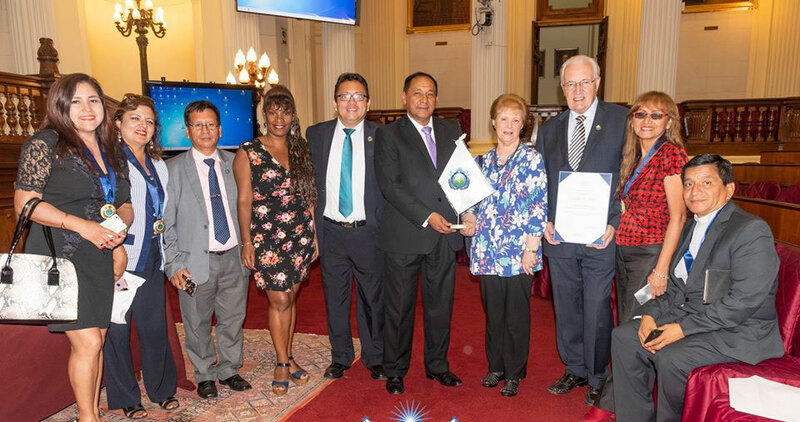 Among them Dr. Trevor Edward Jones President UPF Peru, received recognition from Congressman Yika for his outstanding work in promoting a culture of peace in our country. 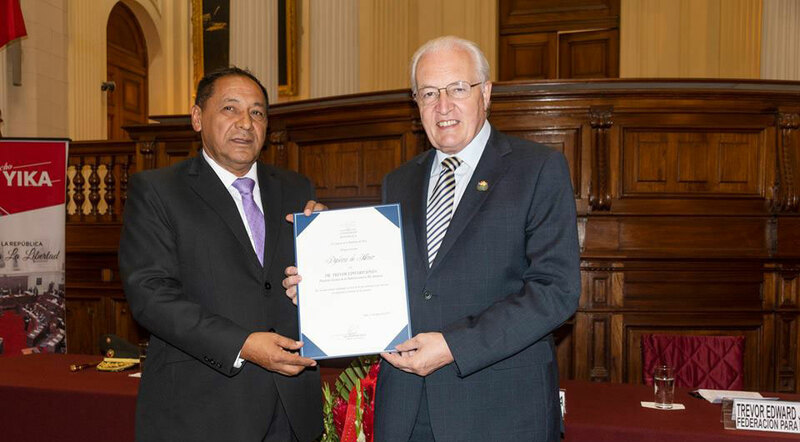 In this special ceremony, the Congress of the Republic of Peru represented by the office of Congressman Luis Alberto Yika Garcia, also presented the recognition for his great work of promoting a Culture of Peace at the World level to our UPF Director of Sub region N ° 3 Rev. Dr. Jung Moon Lee. In his absence this honorific recognition was received by Dr. Trevor Jones, who expressed his thanks for these awards. He also spoke about the development of UPF based on the vision of the Founders, Rev Sun Myung Moon and Dr. Hak Ja Han. Dr. Trevor Jones, accompanied by his wife, Mrs. Faith Jones, President of the WFWP Peru and a delegation of Ambassadors for Peace, said that UPF’s work in Peru has been growing rapidly with the support of the Ambassadors of Peace, who are people actively supporting our work and enthusiastically working for peace in many areas of society. On the foundation of the Holy Spirits Association for the Unification of World Christianity founded in 1954, the Family Federation for World Peace and Unification was established in 1994 with the goal in promoting ideal families that attend God. 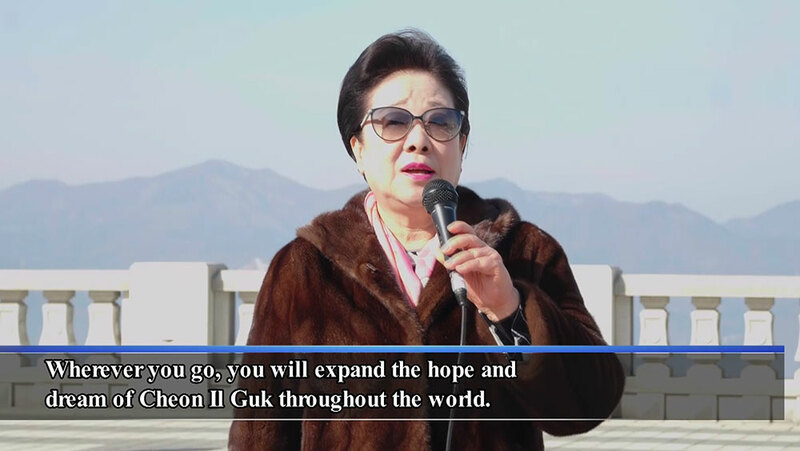 Since 1996 it has been used as the official name of the Unification Church. © Copyright 2018 - 세계평화통일가정연합 세계본부.